Blue Monday and Seasonal Sadness - Are They Real? Last year I wrote a post while heavily pregnant with my 3rd child entitled "An Open Letter From The Bathroom Floor". On that post I received a lot of comments from other women who were feeling the same way, who - like me - put it down to pre-natal depression....I also received so much support from friends and the blogging community, I was truly overwhelmed. There was one comment on that post which - I'll be honest - actually almost irritated me a little bit at the time (although it was well intended, you know how it is when you're feeling super sensitive...) I thought to myself "It's not something as simple as just the month of the year...it's depression, it's a breakdown, it's because I'm pregnant again so soon after my second child and I can't handle it...I'm not coping"
That was honestly how I felt. "It is January! I've come to live in fear of it. It deny's you one of depression's greatest weapons, the joy and healing power of nature. Who wants to brave the cold and rain with small children and nothing looks pretty or soothing to the soul...Sometimes the simple answers are true. Lack of sleep, lack of light, lack of fun and your seeming invisibility. You are not mad or suffering a disorder of any kind. This is all very natural and one day you will be glad of all you've learned. But no one will look after you, but you. And plan for January next year. See it coming for what it is." I've spoken before about how this Christmas wasn't a great one and I feel as though I kind of went into myself after it and I haven't shaken it all off yet...I'm still seeing a therapist weekly for anxiety disorder and PTSD (If this is something you're thinking about too, you can find further information here: https://www.betterhelp.com/start/ ) , and lately my sessions have been quite intense which has brought all sorts of feelings and past experiences to the surface and left me feeling quite rubbish in general. And honestly...the past few weeks have been awful. And I feel terrible for admitting to that - because nobody has died, nobody is sick, nothing is permanently broken - but I feel as though I've been hit by a truck. Not physically - although with 3 hospital appointments this week for various health complaints and decisions to be made about operations, I could be in better shape - but mentally. I feel exhausted. I feel lonely. I feel desperate. Even though I know there are friends there, they don't feel reachable. I'm feeling that same way again, wanting to reach out to people for help and support but stopping myself every time I try...not knowing who to ask or what to say. And today I hit an all time low, when I googled a few things and ended up on a site called "Suicide Forum"...of course I don't want to do that, there have been suicides in my family committed by parents of young children and I won't do the same thing to my kids...but just the thought of it getting in your head is distressing enough, nobody wants that...nobody wants to be that person. But I suddenly remembered that ladies comment last year. Maybe she was right all along? 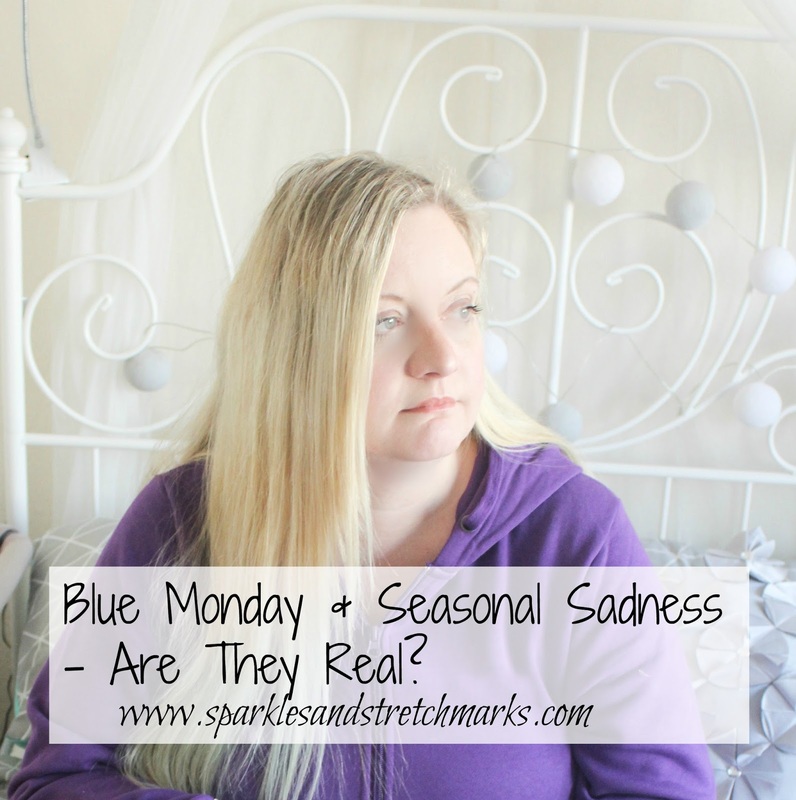 I know that today is supposed to be "Blue Monday" and I know the concept of that seems laughable when you're in a good place in life...or maybe even when you're not...but can it really be coincidence that I feel so very low again, at the same time of the year? I think I need to take the commenters advice and start to anticipate these kinds of feelings in January in future years and prepare for them - perhaps next January I'll book a Disneyland Visit (My happy place! ), save hard to have some fall back cash to hand or think of other ways to make it all feel a little less hard.